← Our Schools are Awesome! The students at our member schools are awesome! They’re creative and talented – and they’re using the High School Video Network to demonstrate their skills! For example, College Park High School student Jacob Skolnick produced this instructional video about how to properly fill and hang a hummingbird feeder. The nature footage is beautiful and Jacob’s instructions are clear and easy to follow. The JV and varsity cheer squads at Granada High are amazing! They’ve got moves! 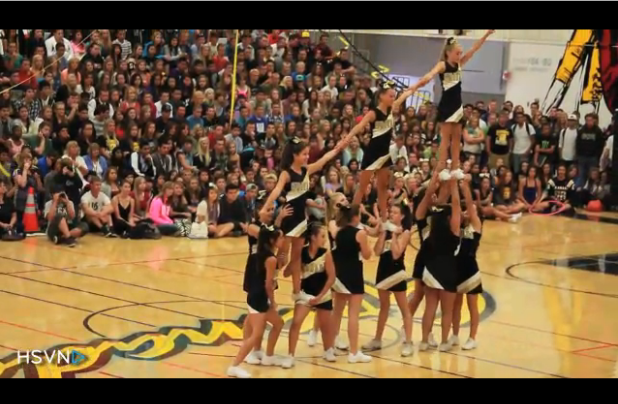 And this video of the girls performing at a rally showcases their impressive talent. Nothing gets you fired up like a good rally – and these girls know how to bring it! California High School students produced this video documenting the experiences of classmates who took part in “It Happens,” a campaign to raise awareness about the dangers of drunk driving. The video is informative and features some really eye-opening footage of what it’s like to be behind the wheel while you’re intoxicated. HSVN is free for K12Rewards member schools and provides a powerful and unique tool for demonstrating the talents of the student body and keeping the school community connected. If your school isn’t a member, talk to a school administrator about joining!